I love it when someone unexpected, like Mike Acerbo, drop on my lap. Well, not literally, even if he is a handsome man. I just never know how I will be finding new music. I have mentioned before how I love it when I get a recommendation from another musician - I don't know if I've ever been lead astray that way. When you hear about someone new via a friend, I will try to keep an open mind, but tread carefully, for a friendship is important. 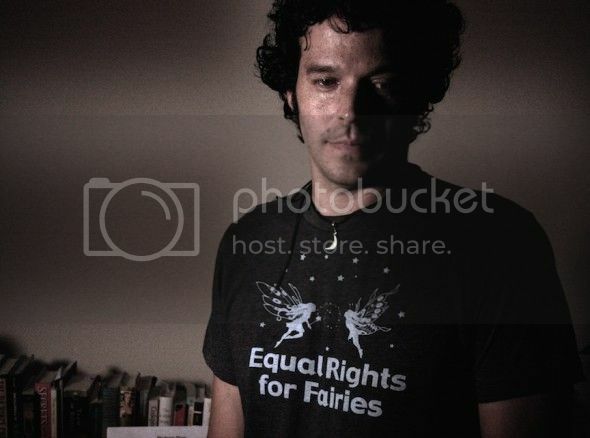 So when Jeffrey Christian told me about a friend of his, I was glad to give it a listen, and I am always thrilled to give hear the music of LGBT artists. Well, The Search is interesting, complex album. And it is very good. As a out songwriter, Acerbo is at his best, painting intricate mosaics with words and notes, always keeping my attention. The album kicks off with "Trilby," which combines Folk, Pop, and a hint of Country, making for a cool sound. Check out the official video for the song. There is a child-like quality to "Blueberry Moon." Well, more of a fairytale quality, built on a foundation of Pop with depth, more Lennon/McCartney than bubblegum. Interestingly enough, "Fairy Tale Love" has a more mature sound and feel, with classic yet haunting feel as we hear of love, woven in a patchwork of harmonies and a wailing guitar. There is such longing in the next track, "Mother." It is a tale of a son, searching for his way in this world, just hoping to see the light of love burning to light his way back home. With the mystical flute, we learn about on man's journey in "The Search." There is a Celtic feel, or at least an old world flavor. However, I never feel out of our own time, more just transported to another plane. "Where The River Meets The Sea" starts off, and I immediately caught of the guitar and the sound, and thinking there is a cool California Rock thing going on, pulling a bit of Country into a Rock groove, with some sweet harmonies on the chorus. Check it out for yourself. While "No Moon" starts with an inviting bed of music, we quickly learn of the foreboding message of being lost, tangled in the sheets of hope on this mythical journey of life. In "Beast," Acerbo speaks to the creature we all hide from the world, protected by the scars and walls. And how love keeps the creature calm, and sleeping. Speaking of calm, that captures the beginning of "Robbie" to a tee. But soon we feel a longing, a blue quality as the song moves on, with memories of a dear friend, now lost. there is a mysterious quality to the tribal drums at the open of "Like The Tide," driving the melody forward. There is an evocative quality, spoken to a lover, wanting to be washed ashore so an ear can give the music of your life a listen, a heart to hear your sorrows, yours triumphs. In the final track, we learn about "The Night Light" can be a beacon, returning souls to their mates. 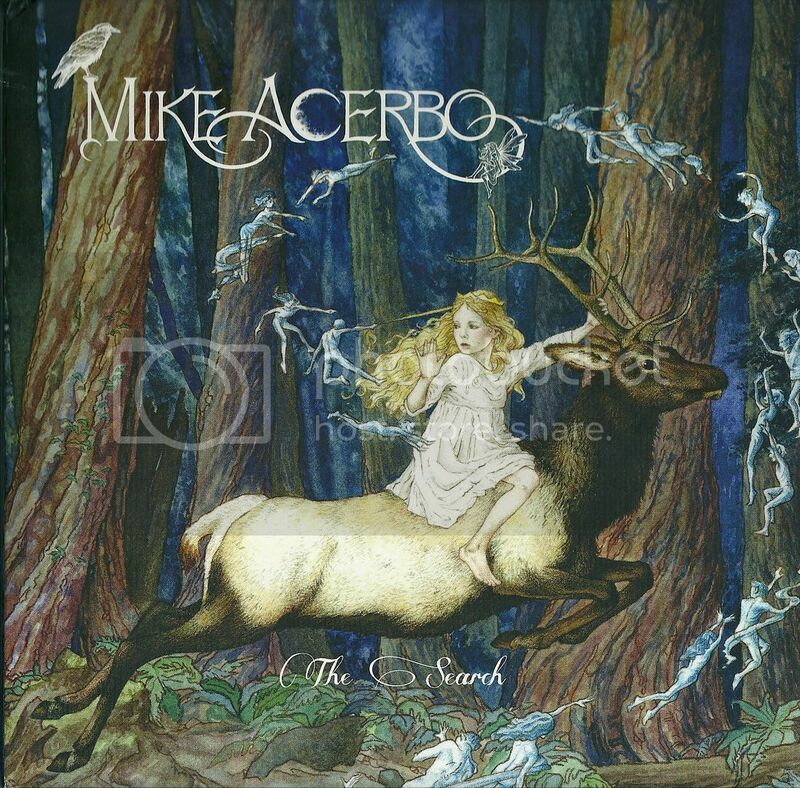 Mike Acerbo makes music that feels very personal, a glimpse into his world, his journey. His music reminds me of the ethereal side of Stevie Nicks. Perhaps he was her lovechild with Van Morrison, the great Irish storyteller. Mike uses his music and lyrics as a media to sculpt the his worlds, his emotions and experiences. And we get to explore that world with all it's moodiness. The packaging for the CD is unique, for it comes in an 8.5" square gatefold, in the style of the old vinyl album covers. There is also a booklet, with lyrics and liner notes, which are a rarity these days. You can purchase The Search on iTunes, CD Baby, BandCamp, and Amazon. To learn more about Mike Acerbo, visit his official web site. You can also check him out on Facebook and Twitter. The Eric Himan Band • FREE Download!